Audio performance, rugged construction, and ease of use have made QSC powered loudspeakers a go-to choice for musicians, performing groups, DJ’s, sound rental companies and commercial AV installations. 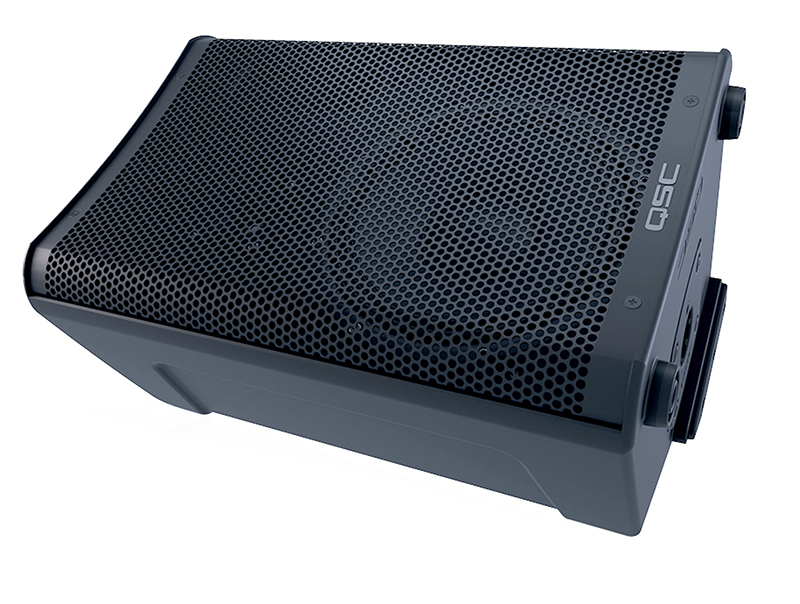 With its new CP (Compact Powered) models, QSC is targeting users looking for QSC audio quality at a more affordable price point. 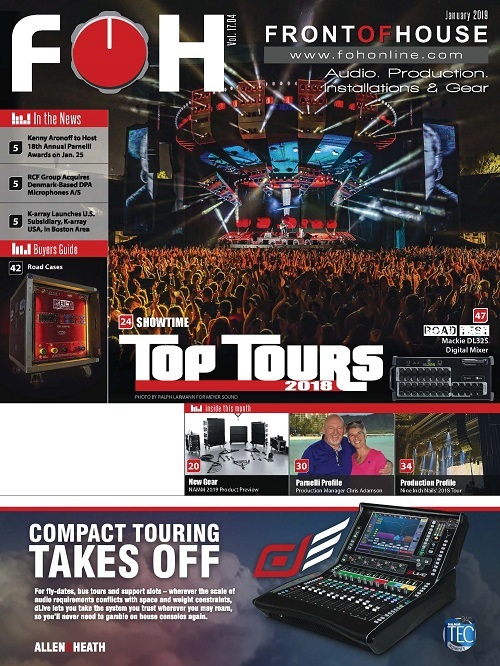 Focusing on audio performance, QSC eliminated items that most consumers in this category wouldn’t use and probably don’t need, while maintaining the functional flexibility that its powered speakers are known for. The CP12 is a 2-way bi-amplified box with a 12-inch woofer, while the smaller CP8 is outfitted with an 8-inch LF driver. Both use the same Class-D, 1,000-watt peak amp module delivering 800 watts to the LF driver and 200 watts to the HF unit. The CP12 has 75 degree horizontal coverage; the CP8’s horizontal dispersion is 90 degrees. The CP8 and CP12 tilt to double as stage wedges. 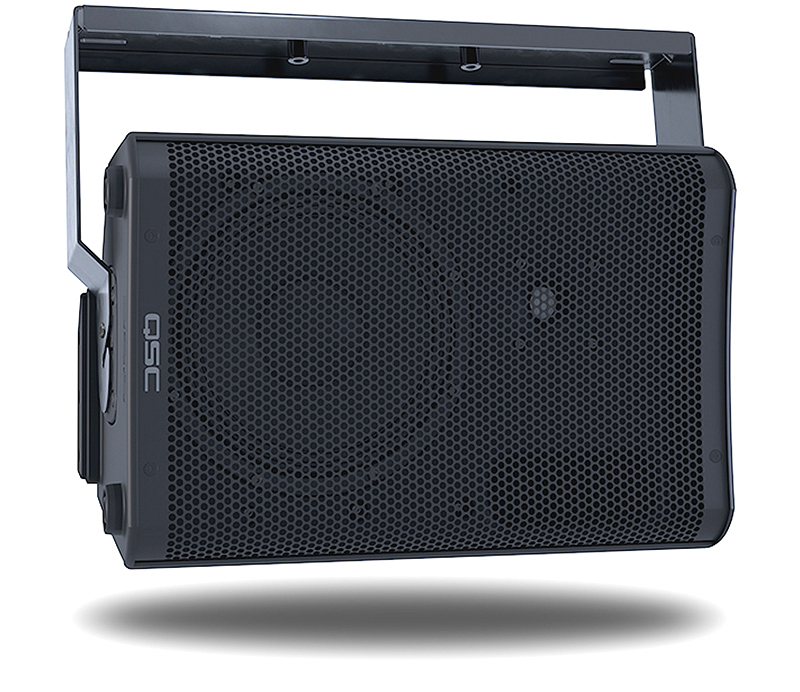 Constructed of rugged polypropylene, the CP’s are slightly smaller and lighter than QSC’s other powered speakers. Designed with an angled side, both CP boxes can be used as floor monitor wedges as well as mains. On the bottom of the cabinet is a standard pole mount socket but it lacks an adjustable tilt function. The top has a carry handle; the front side of the larger CP12 incorporates a molded carry point. Lightweight and compact, the CP12 tips the scales at 30 pounds while the CP8 is a svelte 21 pounds. The rear panel is recessed to protect the controls and the controls and connectors are clearly labeled, making setup easy. Also on the rear panel is a power switch and standard IEC power connector. Each speaker includes a 9-foot power cord, but as a cost-saving measure does not offer the traditional QSC locking IEC connector. The rear panel has LEDs for power and limiter along with the input connectors and gain controls. Both models offer three inputs (Labeled A, B, C). Inputs A and B use XLR/TRS combo jacks while input C’s 1/8” TRS jack is designed for a music player. Inputs A and B handle line/instrument sources, each with an associated gain knob. LEDs input illuminate when a signal is present. Input B can also accept a mic-level signal. A small recessed pushbutton selects for Line or Mic and an LED illuminates when input B is set for Mic. It’s a recessed switch that minimizes accidental mic input selection, a nice touch. Input C actually combines with input A with the combined (mixed) gain controlled by the input A gain knob. Theoretically, the user could mix three inputs by using the music player’s internal volume control to control its output. An XLR-M output connector is provided so that a line-level mixed signal from all three inputs can be looped to another speaker. 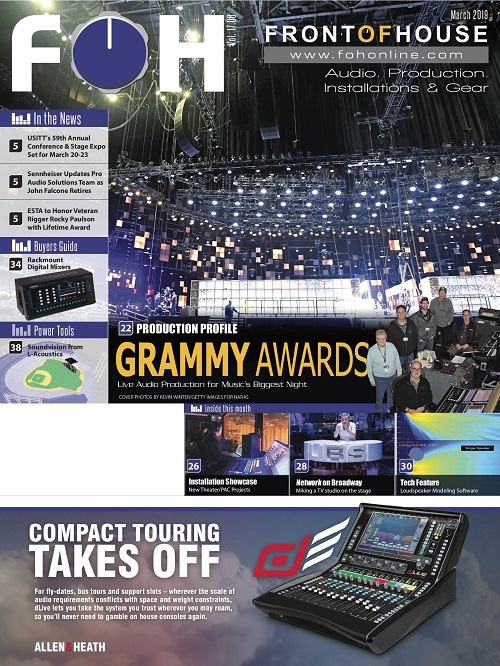 A single selector switch labeled “CONTOUR” optimizes the speaker’s DSP configuration for typical live sound scenarios. The selector is clearly labeled so that even a non-technical user can make the proper choice for their application. The DEFAULT setting is a flat EQ curve designed for stand-alone full range operation. 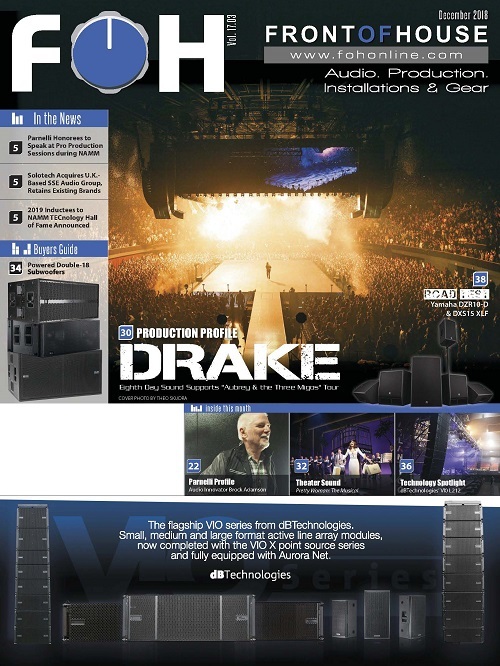 “Ext SUB” rolls off the low-end for using the CP with subwoofer. “DANCE” creates the popular sizzle and boom “smile curve” preferred by many DJ’s. If the DJ is using an external sub, the “DANCE EXT SUB” setting keeps the DJ curve, but rolls off the low-end for use with a sub. FLOOR MONITOR does the opposite of DANCE and boosts the midrange slightly for more vocal punch. Finally, the SPEECH mode rolls off most of the extreme highs and lows to make the box more suitable for spoken word applications. Switching modes mutes the audio during the change eliminating any loud noise surprises. I received a pair of CP12’s and a pair CP8’s to try out. The first thing I noticed is how well-packed the products were. I like that QSC pays attention to this important detail. With so many folks buying equipment from online dealers, the last thing I want is a product that arrives damaged due to poor packaging. I set the CP’s up in my shop and ran some of my favorite music tracks through them. First, I used a small mixer’s line output and then by plugging the music player directly into input C on the speakers. Both boxes sounded clear and crisp with much more solid low-end then I was expecting. I was especially impressed by the fullness of sound coming out of the compact and lightweight CP8! I experimented with each of the “CONTOUR” switch settings. No surprise: the DEFAULT settings were most pleasing in my listening tests. As I had QSC subs on hand (K-Subs) I set both boxes up with a sub for a quick listen test. Again, I was impressed with the clarity, tone and output level. Of course, I had to compare them to my “K” top boxes and must admit the K’s have a smoother sound — but at nearly twice the price. For a lot of users, the affordable CP’s will fill the bill nicely. I used the CP8’s as floor wedges with the “CONTOUR” switch set for FLOOR MONITOR. They sounded bright and punchy and all of the vocalists were pleased that they could hear themselves clearly. The lightweight CP8s were easy to move around and the angled cabinet made them easy to position on the stage. I used the MIX OUT connector to loop them together without issues. I do jazz recording parties at my studio. Set up like a jazz bistro, I have a small stage, lighting, etc. I tried the CP8’s out as front of house P.A. with the CONTOUR selector set on DEFAULT and was pleasantly surprised. For a small box, these guys put out a solid low-end and clear mid/highs. Obviously, I wouldn’t choose these as the main P.A. in a big room but for this application, they were ideal.  So… What’s the Verdict? 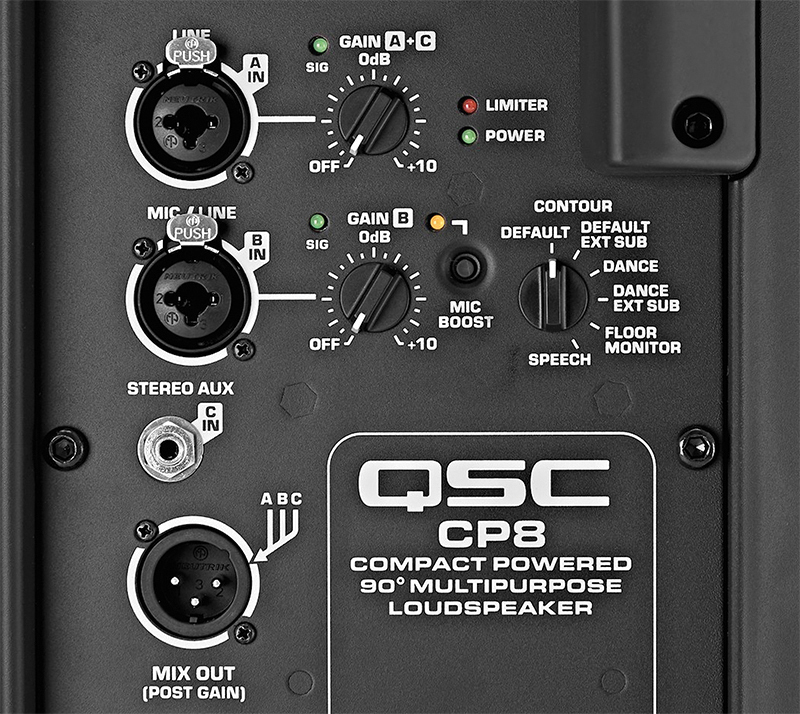 For the budget-minded performer looking for a rock-solid, respectable sounding, powered speaker, QSC gets the gold medal. The CP series are well thought-out and easy to set up, even for the non-technical user. 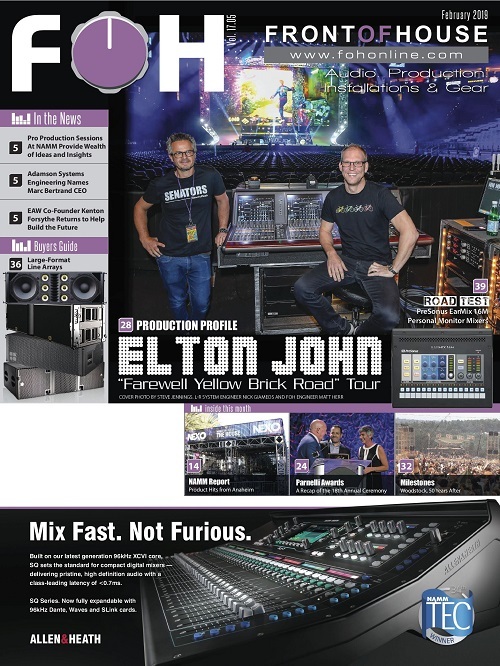 By focusing on audio performance over “whistles and bells,” the CP series hit a desirable price point for a large group of users. Yet, QSC didn’t sacrifice usability to meet the target price. 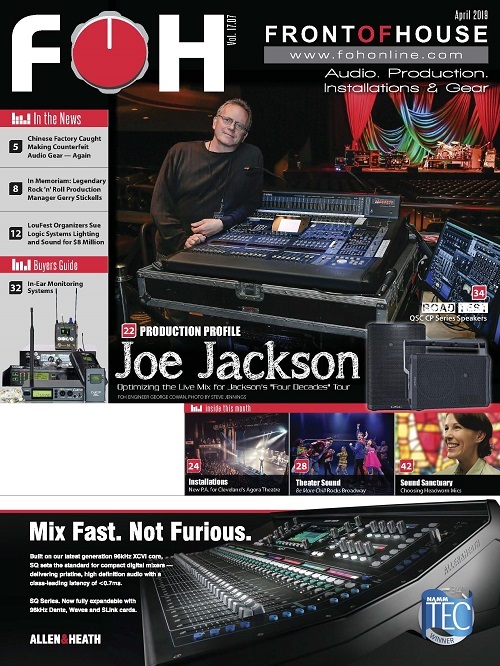 The flexible input configuration and built-in mixing capability make them a good choice for the singer/songwriter or solo act looking for a compact, good-sounding single-box solution. For AV rentals, the CP’s are ideal for meeting and breakout rooms where a single mic combined with the output from a laptop are used. Even the smaller CP8 put out enough low-end to handle music playback. Simply toss one up on stand, plug in the sources, set the level and you are good to go. For the event DJ or small band, the CP’s provide ample projection and clarity. For a bit more boom in the room, just add a compact QSC powered subwoofer. Finally, during the course of my evaluation, a friend who plays for a local community band stopped by. After hearing the CP12’s, he was impressed enough that he went out and purchased a pair for his own use. 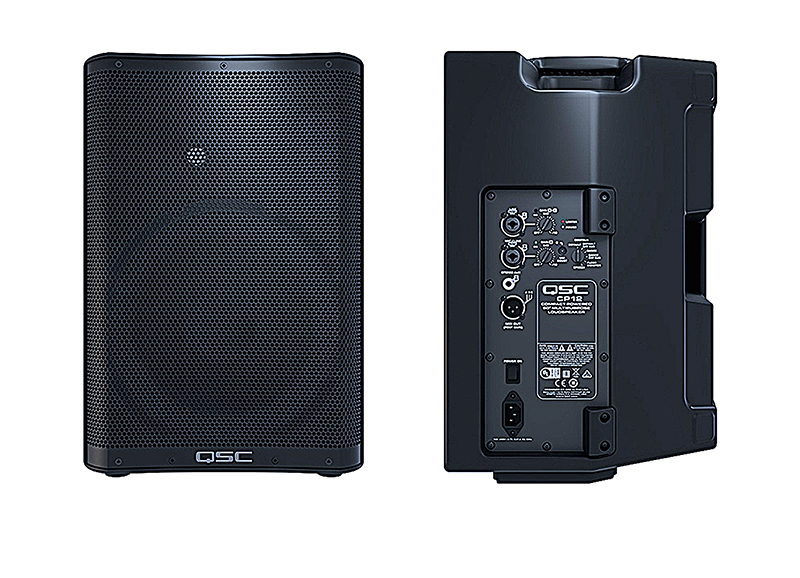 QSC’s new CP (Compact Powered) Series powered speakers for portable sound are designed for users looking for QSC audio quality at a more affordable price point. Our reviewer found them to be lightweight, good sounding and affordable enough for a wide variety of applications. Steve Savanyu operates Buford T. Hedgehog Productions in Hudson/Macedonia, OH.